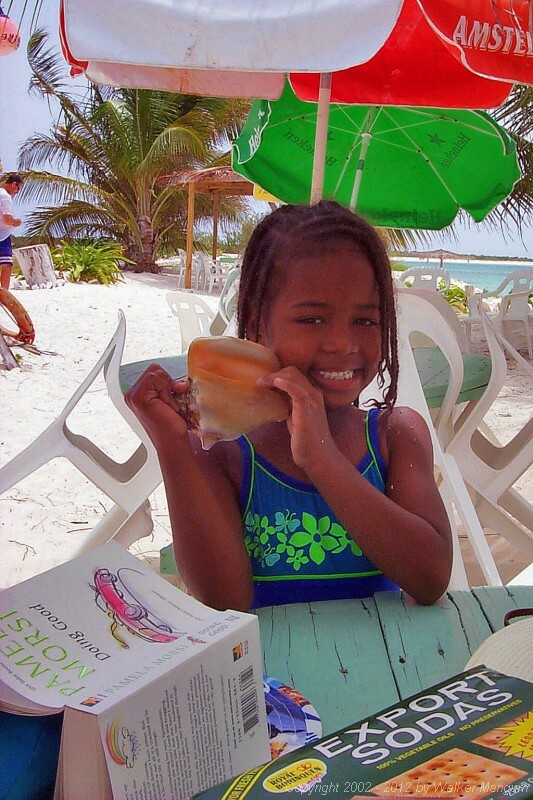 Lakesha, Bell's granddaughter, showing us a shell. Kesha is very charming and loves to play with guests. All of the Creque family are wonderful hosts that really make you feel welcome.